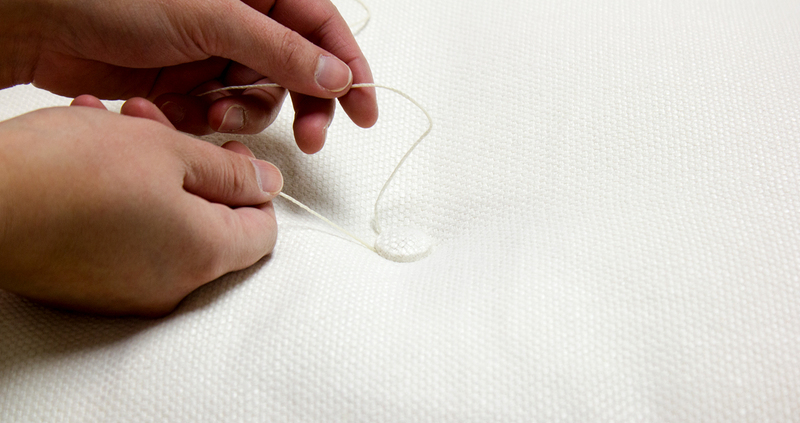 Truex furniture is individually crafted by individual craftspeople. 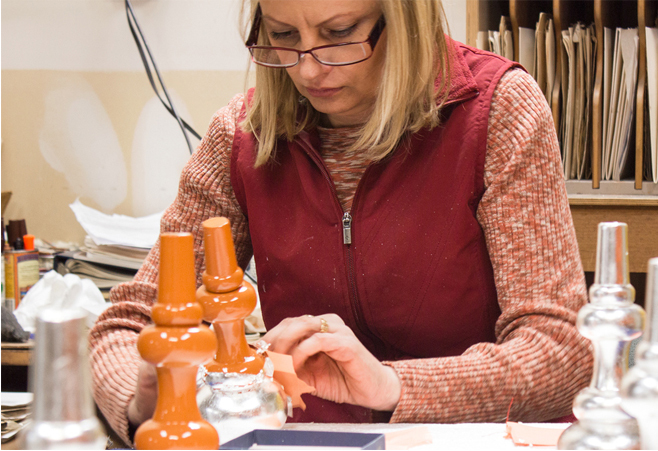 A single order comes to an experienced maker who oversees every aspect of the execution from the blueprint to finished piece calling upon experiences and traditions that have been passed along for generations and are much the same today as they were when the designers who have inspired Truex were at the heights of their careers. 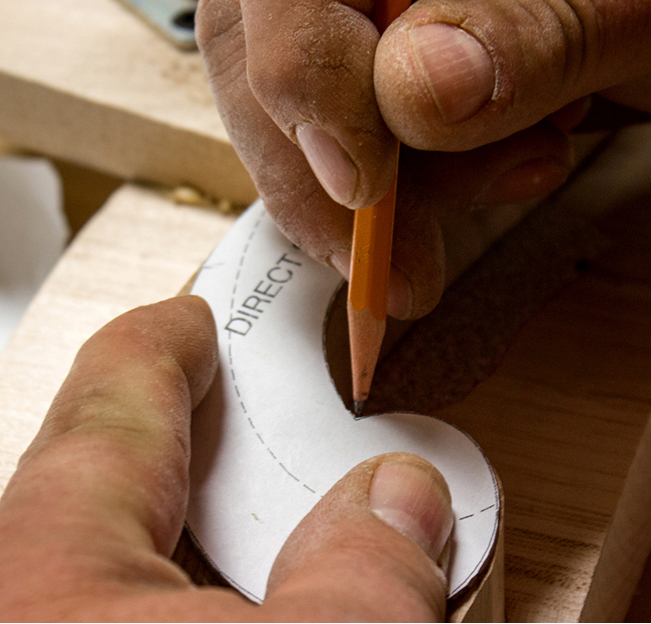 Beauty is in the details, and there are certain details that only hand carving by a true artisan can make real. The flourishes that distinguish Truex furniture go beyond machine carving and integrate elements only hand tools can summon resulting in work that is functional but also art. 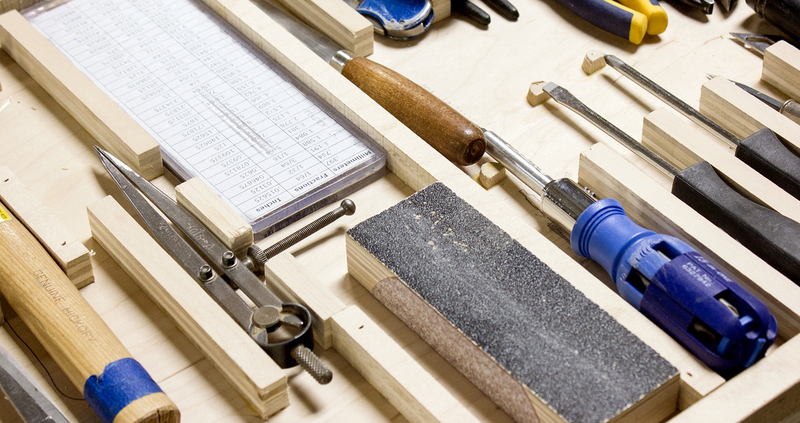 Our cushion decks are constructed out of solid maple with 8 way hard tied springs. 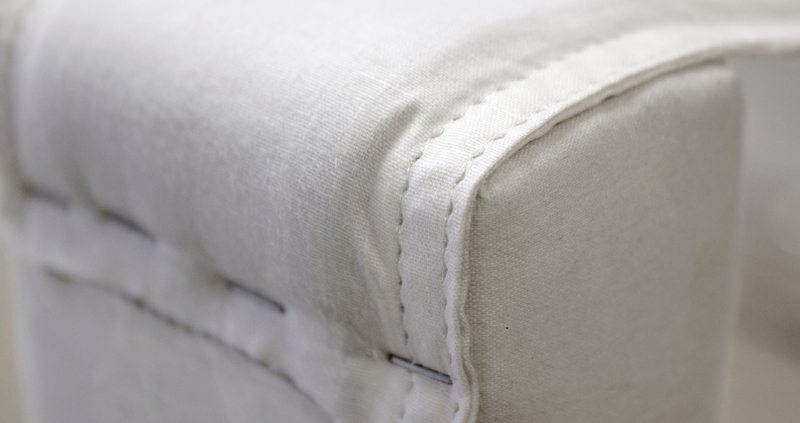 Hand tufting of our seat cushion in our exclusive 50% white goose down and 50% brown duck feathers. 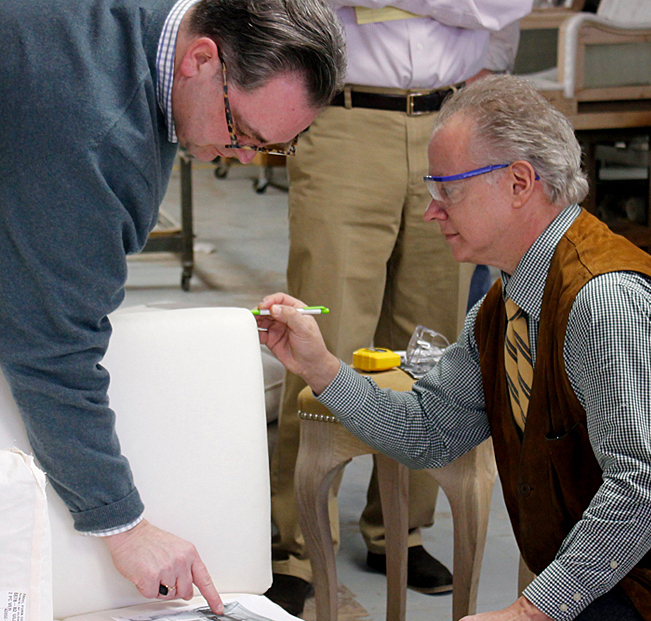 Our Design Director and Senior Design Partner work out the shape proportions and details down to the 1/8". Fitting of specially constructed sling arms covered in muslin prior to covering them with the clients own material. A set of stacking tables with just undercoating waiting to be fully gilded with silver leaf. For our unique James Mont inspired camouflage finish, copper leaf is then applied over the silver leaf in unique one of a kind patterns. After overglazing, the entire piece is treated with 3 coats of clear lacquer. A set of turned legs for our Pauline Chaise gets their application of silver leaf over a custom colored sizing. 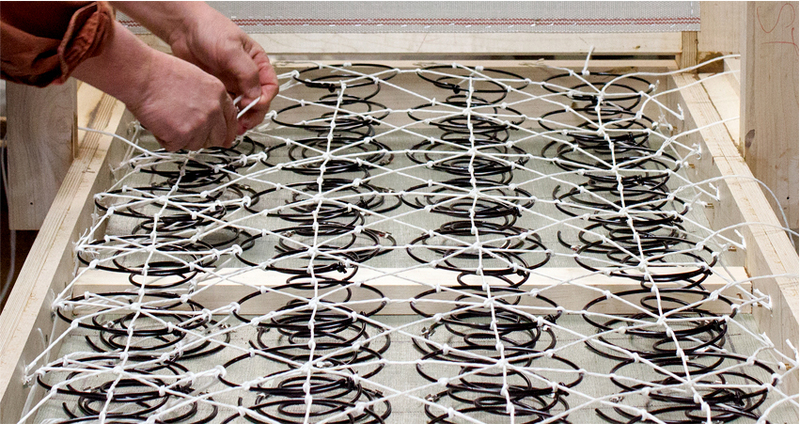 Fine spray lacquering in our unique Tete de Negre finish is being carefully applied by hand to our Loop Chair.